Posted on August 13, 2015 by K.J. The Magicians is a book not for everyone. Quentin, our main character, is magical, and missing something in his life. If he could only get to Fillory (a magical place found in his favorite books, and a very grown up version of Narnia) then everything will be OK. He first finds himself at Brakebills Preparatory College of Magic (think Harry Potter in a partying frat). After 4 years, he finally gets to Fillory. Throughout the story Quentin is forever longing for something that is just out of his reach that he never can grasp. Lev Grossman is a master at opening Quentin’s mind and diving in to reveal those dark places that everyone lives in at some point or another. Grossman does such a wonderful job of writing that I couldn’t put the book down. He drew me in and I left only because I turned the last page. What is missed in the “feel-good department” it is made up through great writing. 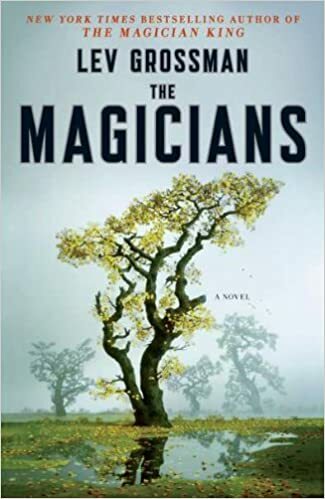 This entry was posted in magic, Review and tagged book review, Harry Potter, Lev Grossman, magic, The Chronicals of Narnia, The Magicians by K.J.. Bookmark the permalink.